Dear INFJs, Why Are You So Misunderstood? We are complex. We are different. We are rare. Some people think we are mysterious, while others think we are weird. The INFJ personality type is a paradox. When I studied literature in secondary school, I love oxymoron — “sweet sorrow”, “beautiful tyrant”, “loving hate” and etc. Perhaps because I am one. INFJ’s complexity is due to our contradictory traits. We appear outgoing to people, but what we really want to do is to stay at home. Even though we share a lot about ourselves, there’s still a lot of things people don’t know about us. Other people might find INFJs confusing because we appear differently in different contexts and in front of different people. For others, they might think they know us very well, but what they understood or saw is just a fragment of us. It’s not that INFJs are being inauthentic. We are just very private and we usually only show the part of us that the other party can relate to or understand. What other people see is true, but it’s just part of us. It doesn’t represent the whole of us and the depth that we have. With this blog post, I hope that all INFJs can have a better understanding of why they are often misunderstood and embrace their weirdness. It’s okay to be a paradox. You are not alone. 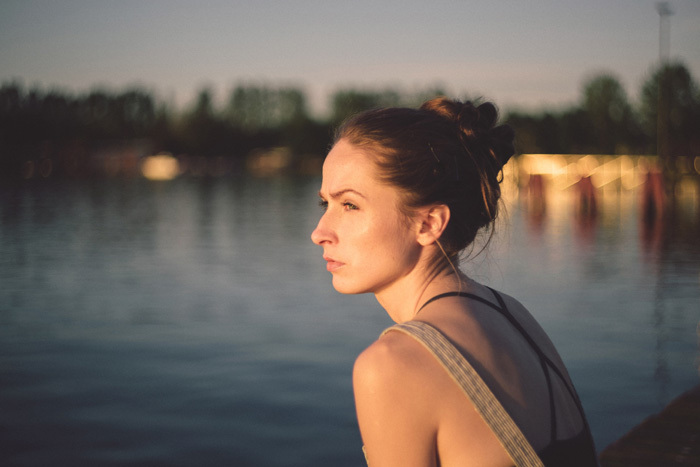 Here are 7 confusing traits that make the INFJ misunderstood. 1. INFJs yearn to connect with others but afraid of spending too much time and energy. I have to give credit to my reader, Jonathan, for sharing this with me. He says it perfectly: INFJs yearn to connect with others. We crave a deep connection with others, but we crave solitude too. Ironic? I know. Whenever I go to a networking session, I regret immediately: Why am I here? Just the thought of all the small talks I have to do to get a conversation going is already exhausting to me. INFJs are not made for small talks. INFJs are actually very in tune socially, even though growing up we might think otherwise. We know that small talks are absolutely necessary especially when we met someone new. Just that to an INFJ, these small talks are so boring and superficial that they feel draining. When my students asked me questions such as What is your fave color?, Fave movie?, Fave food?, or Fave singer?, I literally froze. It’s not something I usually think about. INFJs love the deeper stuff such as What is it like growing up in your family? and What is your biggest fear? But of course, we don’t ask others these questions when we meet them for the first time because we know other people will find us creepy. Furthermore, INFJs can’t articulate their thoughts so well at the moment. It takes us time to gather our thoughts, let alone communicating with them. People are usually talking too fast for us. When we had something to say, other people have already moved on to other topics. No one is going to wait for us to come out with a response, so all we could do is to listen (even though we enjoy listening too). Over time, this is tiring for an INFJ because there is too much information out there, but we don’t have the quiet time to draw insights and conclusion from them. Do note that INFJs’ dominant function is Introverted Intuition (Ni). So when we are talking to others, especially in a large group setting, we are not doing what we naturally prefer to do. 2. INFJs write coherently but stumble a lot when speaking. Once a friend of mine who I know for a few years told me that he understands more about me from reading my books than talking to me in person. This is a funny yet sad reality for INFJs. Since most INFJs don’t get much of a chance to share their thoughts and opinions in a group conversation, we do so through writing or the art. I can’t tell you how much I love writing and how much writing helps me cope with my low self-esteem when I was a teen. I write almost daily now. Not only because I enjoy it, I feel healthier emotionally when I get to express myself through writing. INFJs are naturally better at writing than speaking. Not to say that INFJs can’t be great speakers. Just that writing is not an activity that is as spontaneous as speaking to others. When it comes to writing, INFJs have more time to connect the dots and evaluate the situation thoroughly before forming an opinion. It also allows us to organize our thoughts in an orderly fashion by using our third function, Introverted Thinking (Ti). INFJs have the answers before the steps to reach the conclusion. Even though our intuition helps us generate great insights, it doesn’t provide us with the logical steps to get there. So when we talk to others, we say things randomly and our thoughts are scattered. This confuses the listeners and it makes INFJs sound illogical and incoherent to others. Furthermore, our intuition takes some time to catch up and piece the information together. The insights come on their own terms usually when we are left alone. We don’t have any control over them. They are not something we can think about. The only time I sounded coherent is when I prepared what I wanted to say in advance. I anticipated the questions that others are going to ask me and I rehearsed the conversation in my mind many times to make it sounds logical. 3. INFJs are mostly empathetic but can also shut people out completely. INFJs love to help people. We love to see other people reach their potential and are mostly warmth to others. However, when someone abuses our kindness or when we lose hope for somebody, INFJs can give these people the “door slam” and shut them out completely. The selfless INFJs frequently put the needs of others above their own. But unlike some other personality type, we extend our help only when we deem is meaningful to do so. So what do I mean? For example, we might have insights into people and their actions. We know what they do will eventually lead to disaster, but we might not tell the other person. It’s not that we don’t care about the other person. We just kind of given up on them. If we have been trying to persuade you to change many times and you refuse to listen, we might just think that it’s pointless to persuade you anymore. We would rather let you fail, face the consequences, and learn on your own. INFJs withdraw to protect themselves. INFJs don’t like to shut people out completely, but we do so to protect ourselves from getting hurt, for example, from people who betray our trust and kindness. Also, we don’t shut people out after they make one mistake. Usually, we give the other person a lot of chances before we decide to let the person go. Once decided though, the other person will never see or hear from the INFJ again. INFJs don’t like to be angry or be in conflict with others. We will just disappear from their life without telling them. But most of the times, INFJs are just tired from helping people because we are easily affected by other people’s problems. So we need to withdraw and break contact with others for a while to recharge. 4. INFJs are quiet and calm yet emotional and sensitive. Emotions. Oh boy, where do I even start? Emotions to an INFJ means and feels differently from some other personality types. Once someone told me that I’m just as emotional as him, but then I looked at him, I feel that I’m nothing like him. He is so passionate and excited about what he does. When someone misunderstood his intention, he panted and tried to defend himself. He displays all his emotions on the outside. INFJs are not like that. We keep most of our emotions inside. We are actually very calm on the outside even though our action and facial expressions can be expressive and animated. INFJs are emotional because of the depth of the emotions we feel, not because of the display of our emotions. We don’t just feel sad; we feel different shades of sadness. It’s very difficult for us to explain how we feel emotions to others in words. Imagine emotions as a color palette. Most people see red, blue, yellow; they feel angry, sad and happy. But to an INFJ, we feel different shades of emotions, just like there are different shades of a color. Also, sometimes INFJs might feel a mixture of different emotions at the same time. Another reason why INFJs are so calm is that we are more in tune with and sensitive to other people’s emotions than our own. We might feel disconnected from some of our own emotions such as anger and only feel them much later. Even though we feel other people’s emotions deeply as though they are our own, it’s still not our emotions. We can still detach from them if we choose to do so by withdrawing from the other people. 5. INFJs can think logically but usually defies logic. Some people think that INFJs are smart, while other people think that INFJs are dumb. We are neither smart nor dumb; we are just different. The reason why people think we are smart is that we are analytical and able to see a problem from many different angles. So we can provide unconventional solutions that people might not even know they exist. On the flip side, other people think we are dumb because we don’t usually choose the most logical path. Our intuition (first function, Ni) and our love for harmony (second function, Fe) usually influence our decisions. To an INFJ, there are many paths that lead to the same point. Just because a path is logical doesn’t mean it is the best path for us. My parents always think I’m stupid for writing and publishing books. Why do you do something that doesn’t earn you any money? Why don’t you know how to think? The thing is it’s not that we don’t know how to think logically. It’s because we think too much and look at many different perspectives. Writing isn’t just a passion or a hobby to me. It’s also a medium to express myself, straighten out my thoughts, help people, and earn a decent revenue potentially. Of course, if I were to look at making money solely, then publishing books might not be the quickest path out there. I understand that getting a 9-5 job makes more money now. Even though INFJs aren’t materialistic, that doesn’t mean we don’t like comfort, money and aesthetic things. But life is all-encompassing, you can’t just focus on one area and discard the rest such as our passion, values and emotional well-being. INFJs are actually very logical people, just that logic doesn’t usually sway our decisions. 6. INFJs want to save the world but spend many hours just daydreaming about it. As INFJs are such big picture thinker, they tend to be too idealistic. Many INFJs have great intention to help people, but their vision might overwhelm them so much that they don’t do anything about it. INFJs have a problem of taking action because we are a perfectionist. It’s not that we aren’t doers. Just that daydreaming is a huge part of the INFJ mind. That’s where the insights and ideas come. We are more reflective than active. INFJs take action slowly because we want to think an issue through very thoroughly before we take action on it. However, sometimes it ended up as a daydream or procrastination and we did nothing to move us towards our vision. We think big thoughts but we worry about small things. Details usually stress INFJs out. But to execute an idea, we need to take care of the details or at least get someone to do it. That’s why many INFJs find it difficult to start something. For those INFJs who get started, they face yet another obstacle, their perfectionism. INFJs have a tendency to gloss over or miss out details. So to compensate this, we become super vigilant when we deal with details. Last time when I was an accountant, I used to think that being meticulous is one of my biggest strengths. But now, I realize that this so-called strength isn’t natural at all. I was meticulous than most people because I was afraid to make mistakes. I overcompensated for my weakness by forcing myself to be meticulous. No wonder I felt tired after work all the time. 7. INFJs looks intense and serious but is actually quite playful. When I was an animator, my friend often teased me for looking too serious and deadpan at work. When I was solving a difficult math problem, my student told me I had this super intense look on my face and she couldn’t stop laughing. This what happens when INFJs work, they shut out the surrounding and focus on their work at hand. INFJs treat their work very seriously. But we don’t look intense all the time. It depends on the nature of the work we are doing too. If a work requires communication, for example, social work, counseling or teaching, we will look more friendly and empathetic. However, if a requires creativity and analysis, we usually prefer to be alone because both our intuition and thinking (Ni and Ti) are introverted in nature. To access them, we need to direct our energy inwards and when we do that, we turn our extraverted feelings (Fe) function off for a while. Also, as mentioned above, if a work requires INFJs to be accurate, we tend to hyper-focus due to our perfectionist tendency. So we can’t help but look serious and intense. But don’t let our intense facial expression and our love of listening to sob stories and problems fool you, INFJs can be quite goofy and silly sometimes. Friends are surprised whenever they saw photographs of me making weird faces or whenever I imitated others. INFJs are actually playful at heart and love adventures, just that we prefer to plan things out and we take our work seriously. We have this love-hate relationship with spontaneity. So much so that I have to schedule the time to be spontaneous. Scheduled spontaneity. Oxymoron, I know.